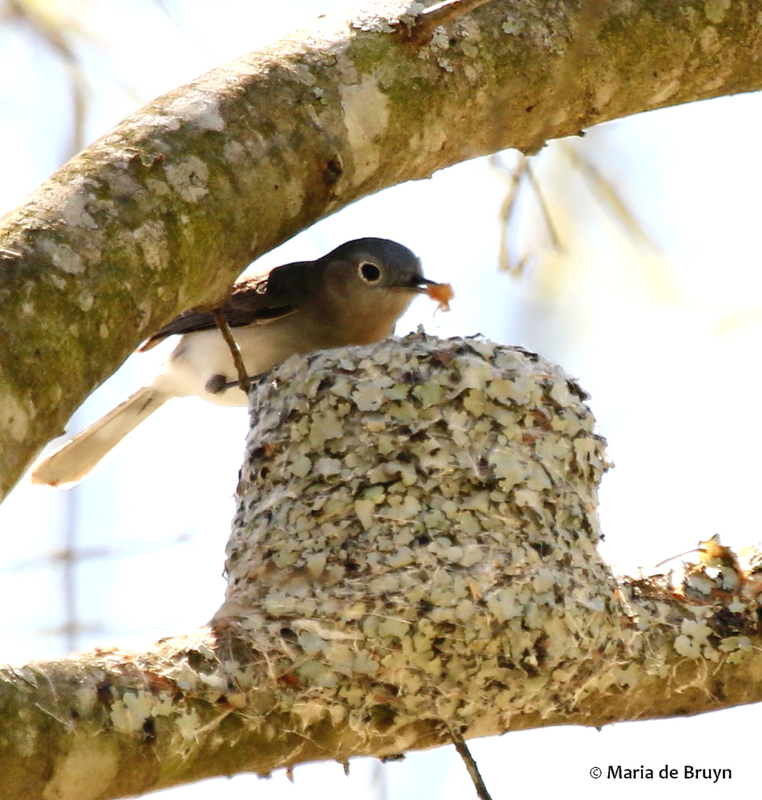 If you happen to have nest boxes or shrubs close to your home, you may have noticed that the birds are getting ready to raise a new family by building or refurbishing nests. Some birds go back to the same places year after year, while others construct entirely new nests. 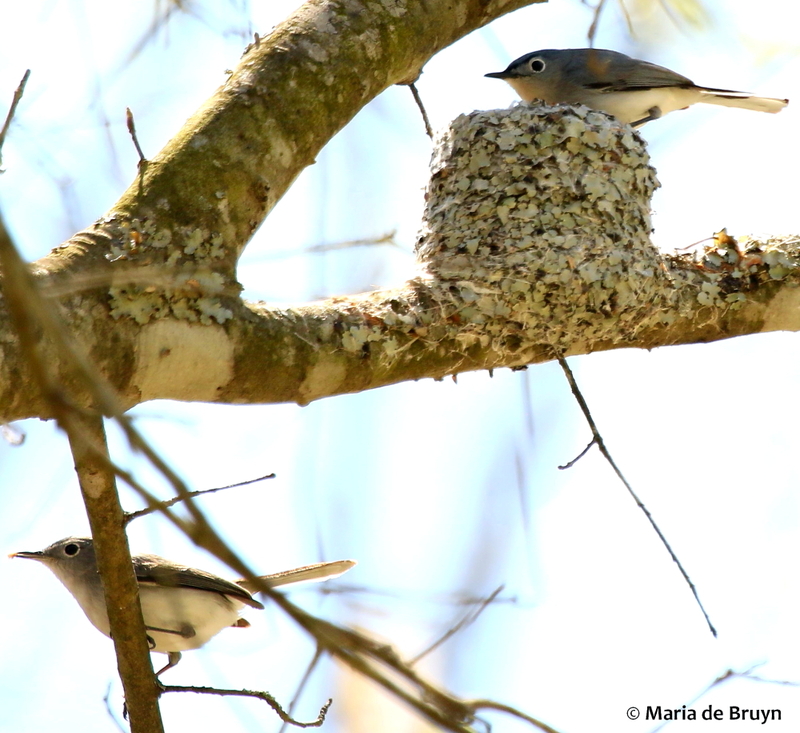 One of the species that will make a new nest each year is the little blue-gray gnatcatcher, which weighs less than an ounce and is only slightly larger than a ruby- throated hummingbird. 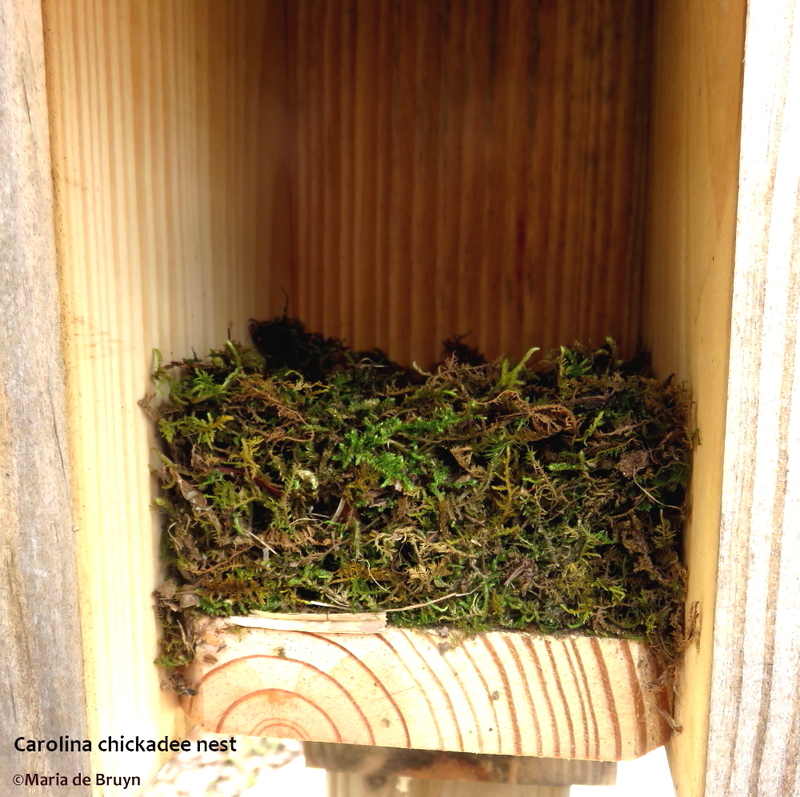 Unlike Eastern bluebirds, Carolina chickadees, Carolina wrens and brown-headed nuthatches, they do not use bird boxes but create beautiful little cup-shaped nests on branches or forks of trees that will have plenty of leaves. 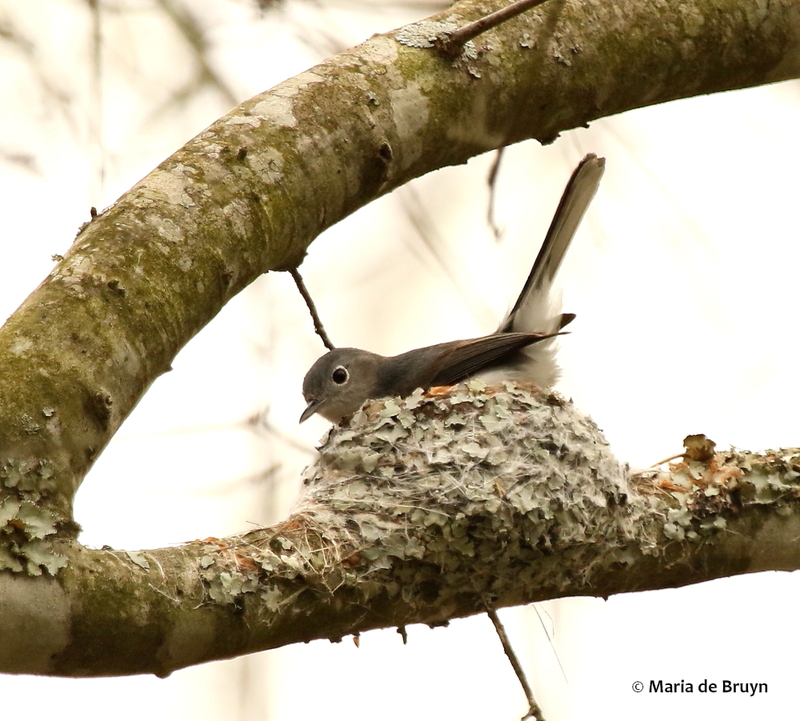 They are not too shy about where they build the nests — at both Sandy Creek Park and Mason Farm Biological Reserve, it is not uncommon for these birds to build their nests on a branch right next to, or overhanging, a walking path. 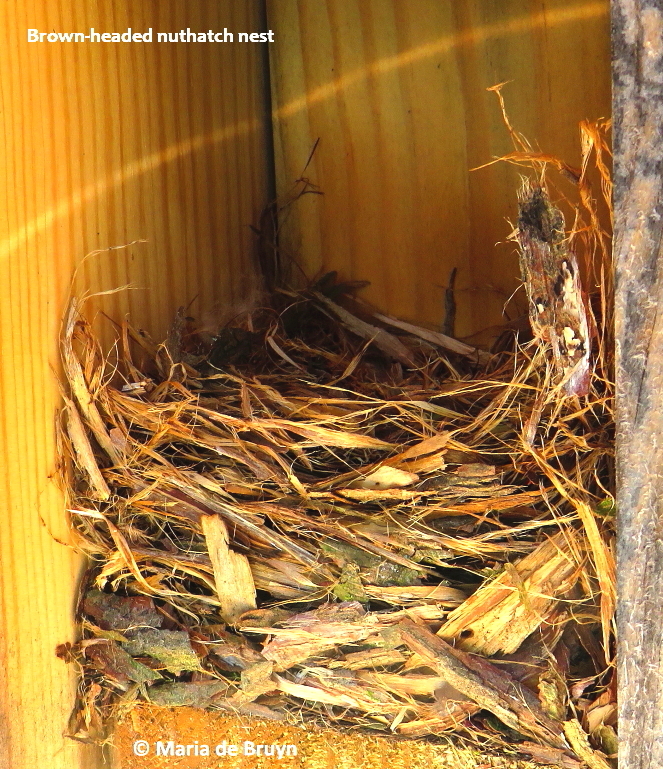 Both the female and male birds participate in creating the new family home. 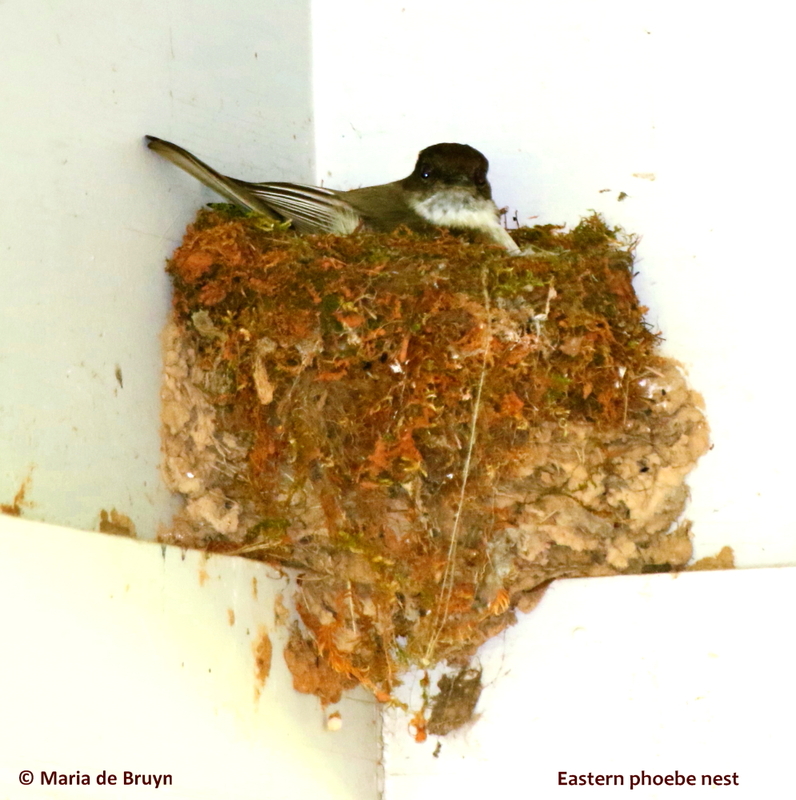 The nests are an architectural marvel — they consist of soft plant materials that are then assiduously covered with lichens that are affixed using spider webs! This helps camouflage the nest. The birds will periodically sit in the nest as it is being built to get it sized correctly and the inside is lined with feathers, soft plant materials and animal hair. Once the eggs are laid, it takes about 13 days for them to hatch; then both parents feed their offspring with insects and spiders until the baby birds fledge after 10-15 days. 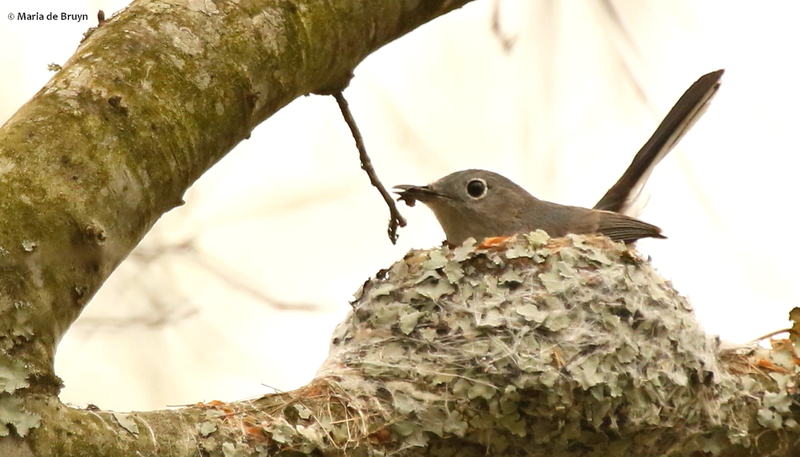 The gnatcatchers will often have two broods per season. Other birds do as well. 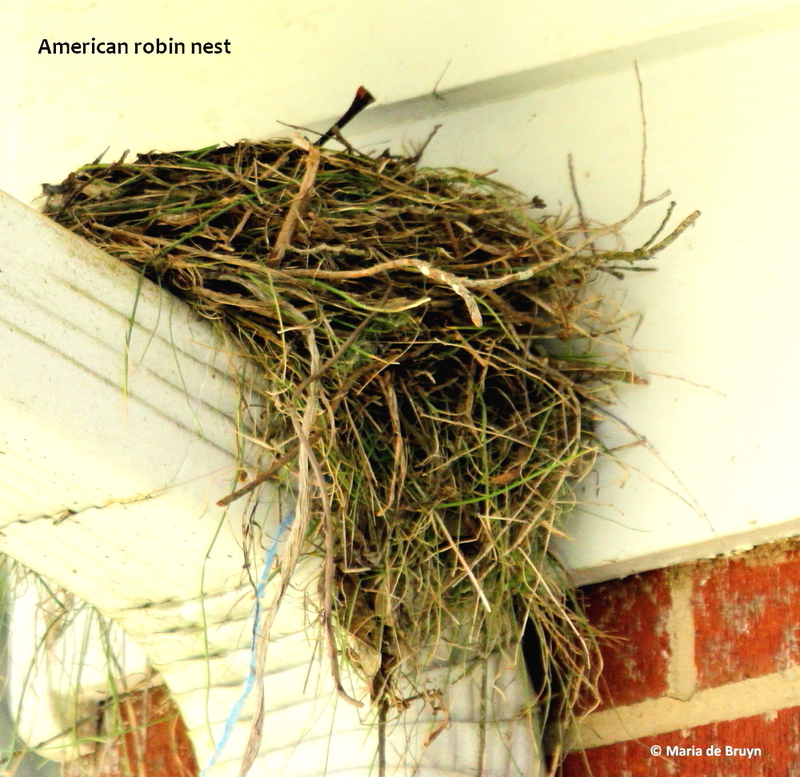 You can sometimes tell the kind of bird that built a nest by looking at the materials used (if you look at this blog online, there will be a few more photos of other bird nests to help you recognize them). Once you know which bird is tending a nest, you can often find out how many days it takes before the baby birds leave the nest by searching fledging time online and, if you time it right, you may be able to see the babies take their first flight as they go out into the big wide world. Enjoy your spring and keep an eye out for our avian friends! Maria de Bruyn is a nature photographer who enjoys observing all types of animals and plants and sharing her findings with others. She has donated her photos to non-profits such as the Friends of Sandy Creek Park, the Outdoor Explorer Book Club and New Hope Audubon Society and has had exhibitions of her work in various venues. 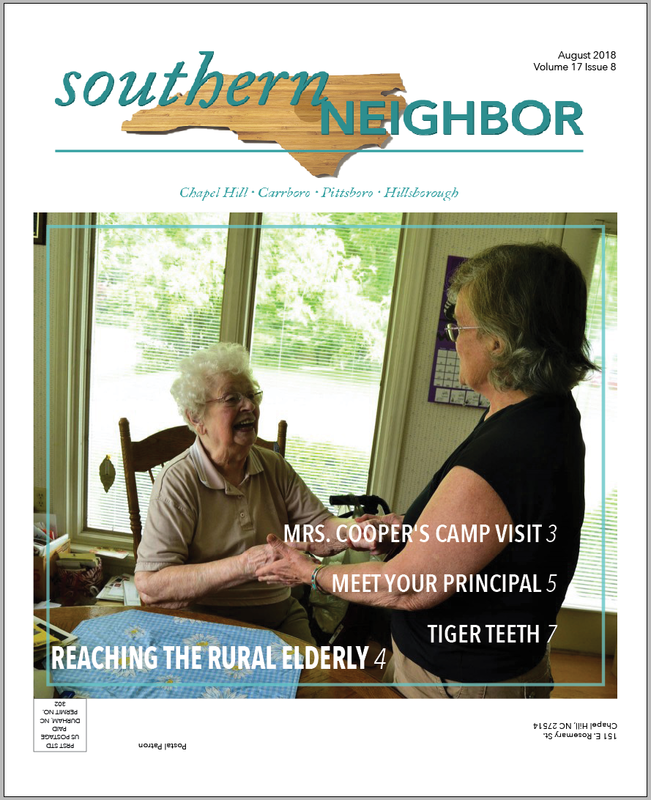 She writes a blog, serves as a virtual “ranger” for Project Noah, and is a co-vice president of the Chapel Hill Bird Club. You can contact her at: mdebruynphotography@yahoo.com. Great article! Love the photos also.